Cari Wiese has me raising Harrison (and the novel) right. It begins with the dream. The writer thinks to himself, “I think I would like to write a novel.” The idea of the novel, much like the idea of children, is very different than the thing itself. So many parents go into parenting with idealistic thoughts. Their children will be wonderful. Their children will never throw fits and will eat vegetables without complaint. The novelist is similarly naïve. Our characters will be vibrant, and the complexities of plot will make our book a real page-turner. Words will flow from my fingers like water from a well. 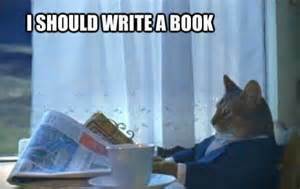 I will sit down every day, eager to paint for my readers with stunning prose. “Yes, that’s exactly what it was like to write a novel,” said no one ever.